Hello there. The tiny face of a lacewing. On a recent sunny day, I was taking the long way home when an insect fluttered daintily in the sunshine ahead of me. Reflexively, I reached out and snatched it from the air in a carefully cupped hand. When I opened my hand a tiny bit, I saw what looked like a gray lacewing. Never having seen that color before, I wanted a picture. But manipulating my camera, keeping my hand closed then opening for just a second for fear the creature would escape proved tricky. I decided to put it in a little container and take it home, but that too was awkward. 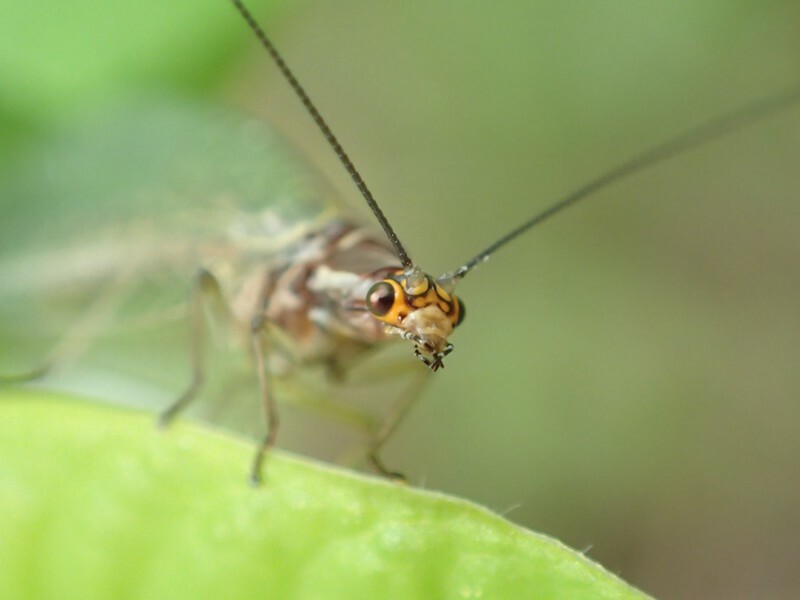 The San Francisco lacewing's body is about 1/2 inch long. There are a few tricks, such as chilling the subject in the fridge. This slows an insect's metabolism and sometimes allows you to get the shot you want. Gauging exactly how cold is tricky. Guess wrong and you kill the subject — not necessarily in a good pose. I didn't want to destroy it unnecessarily, so I took a chance. As gently as I could, I opened my hand and let it crawl onto an Indian Plum bush (Oemleria cerasiformis). It seemed unscathed and content to pose for me. 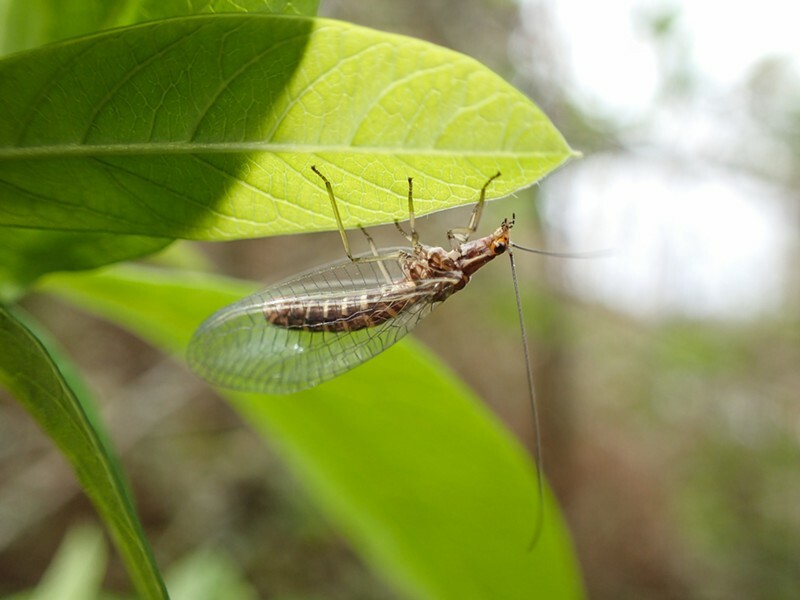 When I jostled a limb, a cloud of tiny whiteflies, a noted crop pest and popular food for lacewings, flew up. I'm only guessing but I suspect that was its original destination. We parted amicably when I ran out of pictures to take. 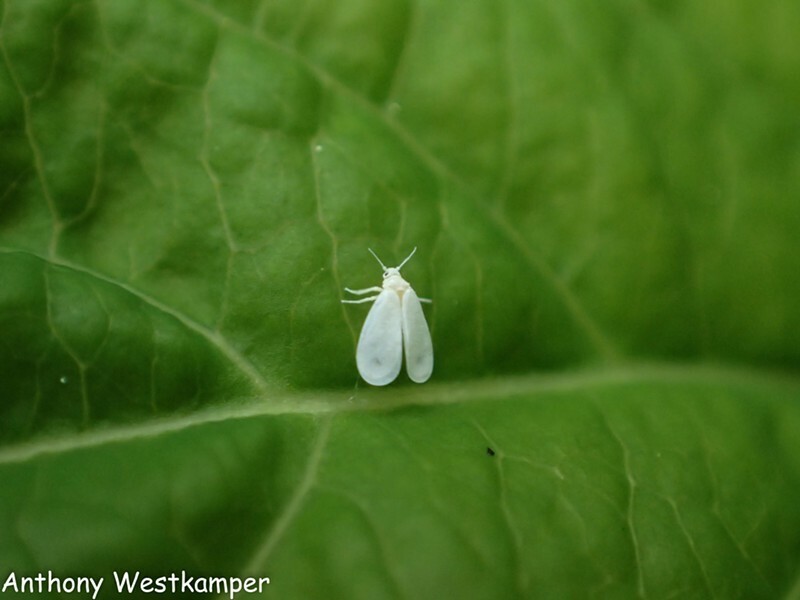 The even tinier whitefly, at about 1/8 inch long. After uploading the images I posted some to www.BugGuide.net inquiring about its identity, since it was not in any of my books. I got a reply suggesting that it was a San Francisco lacewing (Nothochrysa californica). The photos were a spot-on match for my little acquaintance. Curious, I investigated online and found on www.iNaturalist.org that it is classified as “critically imperiled” (G1G3). Yep, there are insects on the endangered species list. There have been reports of it northward of Santa Cruz. To the best of my knowledge, however, this is the first from this far. I'm glad I only took pictures.